Nothing that we already didnt know. I'd seen a 1up video preview sort of a clip and they were talking about the samethings but still any new-ish info on this game is more than welcomed.. +reps for that bro..
Have you even seen the recent footage from Crysis?? It's not insane, it's insaner than insane (if theres such a thing). Just download the latest 1up.com podcast if you use iTunes and see it. They've shown the multiplayer aspect of Crysis and this game is going to be EPIC! I mean seriously guys. I dont think I will ever actually even see it myself (unless in HD videos from GameTrailers and GameSpot and stuff), but there's a shot in mountains and there's a this tank who you're trying to blast. But suddenly from nowhere theres a huge blast (a ship from the far distance is trying to get the tank or whatever) and it hits the Mountains and the way the Rocks tremble down is a scene to watch. Nothing, I mean NOTHING I have ever seen is so stunning to look at.. And the best part is, this game is not just all graphics, it's gameplay is so intense that you'll whett your PANTS!! This is the kinda games that make PC gaming generations ahead of the next gen consoles available now..
Not taking the thunder away from Uncharted, eventually I am gonna spend a lot of time playing this, but that also means I am gonna spend a lot of bandwidth downloading HD Crysis videos.. The Crysis Video I was talking about - Check out the 1st 1 min if you're in a hurry.. It's a MUST watch for any humanbeing! Kikizo: How did you feel after the game's brief debut at E3 2006? Even though the snippet was short, it still has people talking to this day. Does that put extra pressure on the team? Richard Lemarchand: We were very pleased by the warm reception that Uncharted received at E3 last year. We follow the gaming forums very closely, and the level of buzz on the internet that our project generated let us know that we were on the right track to creating something uniquely compelling for the PS3. We voluntarily put ourselves under plenty of pressure all the time, and so an enthusiastic public response like that just inspires us to try even harder! Kikizo: In a recent interview, Naughty Dog president Evan Wells described how with each generation the company was able to bring its games closer to reality. 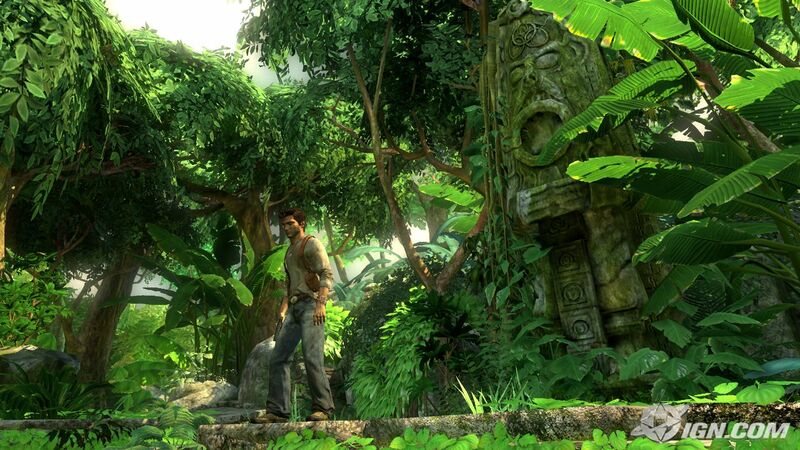 What is the biggest step you've been able to make with Uncharted? Lemarchand: We've leapt forward on so many fronts that it's hard to single out just one feature for special attention, but the thing that players might notice first - since it's so "front and centre" - is our animation system. 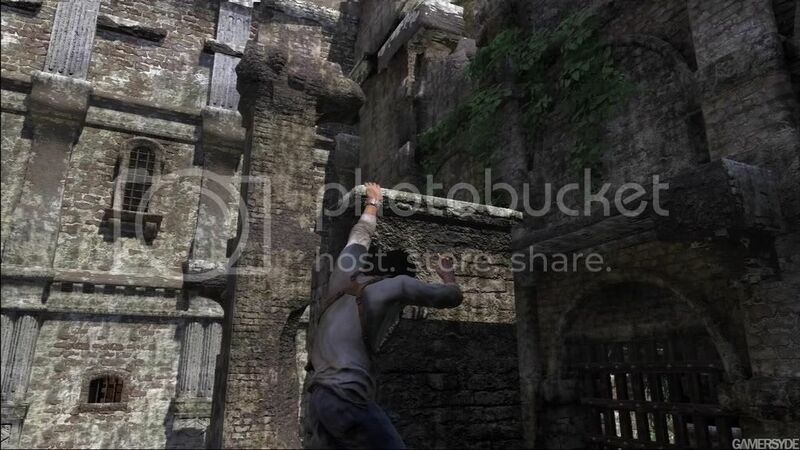 We've been working on Nathan Drake's moves for a long time, and we feel that we've created something indisputably next-gen. 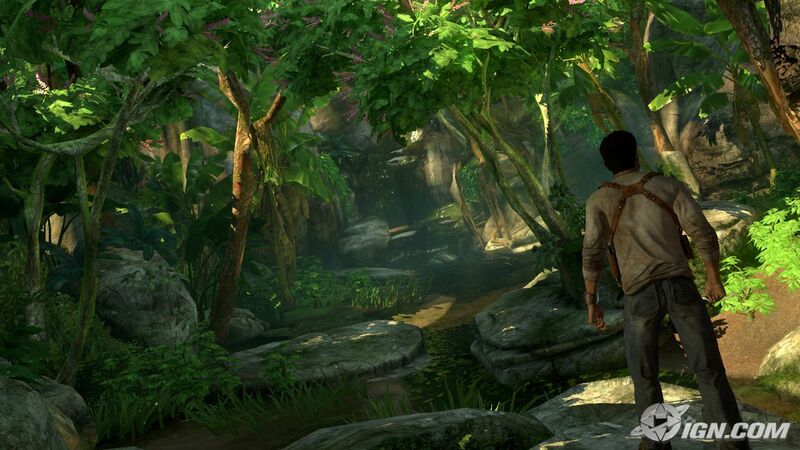 The animation is full of realism which is pretty unique in the world of character-action games, but Drake still controls in that responsive on-the-button way that fans of Naughty Dog's gameplay love. There are lots of other areas where we're pushing the envelope, like our environment modelling techniques and our lighting and water systems; players will have to decide for themselves which is their favourite feature. Kikizo: How important is capturing realistic human subtleties (versus a more cartoony take) and how is the PS3 helping you achieve this? Lemarchand: In a dramatic game like Uncharted it's very important that we capture all the small expressions and subtle muscular movements of the face that a realistic human character needs to be truly expressive and dynamic, and we've put a lot of time and effort into polishing the finer details of the character animation. Many of our amazing animators come from feature animation but love games with a great passion, and as a group they always push themselves beyond what game developers think is possible in terms of animation quality on our kind of tight schedules. They keep delighting us with little expressions of character emotion that we haven't seen in a game before, and when you get to feast your eyes on our new trailer you'll see what I mean! Kikizo: Do you find it difficult to bring together strong narrative and involving gameplay? How do you plan to overcome the concessions that companies taking a similar route have been forced into, such as taking away control at key moments? Lemarchand: Not really - bringing together great story and strong gameplay has been a high priority for Naughty Dog for a long time, and we're continuing to build on our past experiences of making this style of game. We're all big fans of great story games with strong action mechanics, and we continually challenge each other to find new ways to tell a great story without pulling the player out of the flow of the action. Kikizo: Is there one principle inspiration for Nathan or is he more an amalgam of characters from the genre? Lemarchand: We did draw a lot of inspiration from the genre of classic adventure stories for Nathan's character - from great adventure movies, books and comics - but he's really a very contemporary and unique person that you can recognize as coming from our modern world. I think we all know that dude - the kind of guy that you might meet backpacking in Thailand - who's intelligent but likable, digs a cool adventure or a lark, and always has a smart remark ready. Maybe he's also just a little bit prone to screwing up over something important at a critical moment - or to saving the day in an unlikely way. That's Nathan Drake - he's 100 per cent original for a video game, but someone you could relate to if you met them on the trail in the Amazon basin. Kikizo: Why do you think it's been so hard for developers to tell compelling stories? Lemarchand: Interactive design and storytelling are two different skill sets, and I think game developers often underestimate how much hard, detail-oriented work goes into telling the kind of story that you find in a great film. Of course there have been a lot of games that have done a great job of telling stories, and we've always loved finding cool new ways to reconcile narrative and gameplay in Naughty Dog's games. Our awesome team of animators, writers and directors have been working hard for a long time now to create something that our inspirational acting talent can bring to life right beneath players' fingertips. Kikizo: Nathan moves very naturally, and the whole game seems very lifelike. What is the secret sauce that's helping Naughty Dog push ahead here? Lemarchand: If we told you that, it wouldn't be a secret! Seriously, our animation system, some great motion-capture data and some careful hand-animation have all combined with many long hours of gameplay control programming to create the smooth action you see in our trailers. I guess it's 45 per cent inspiration, 45 per cent perspiration, and 10 per cent secret sauce! Kikizo: You've said that you're trying to bring the best of adventuring in books and movies to games. How do you plan to do that? Lemarchand: At the beginning of the project, in our pre-production phase, we spent a lot of time analysing the adventure story genre. We looked back to some of the genre's roots, including "pulp" novels and comics from the '20s and '30s, and old adventure movies including the famous Republic adventure serials; as we looked, we started to figure out what it is about those stories that engages people. We found a lot of things that the stories had in common, like chasing or being chased by the bad guys, making alliances with unusual characters, getting caught in sticky situations, nasty scrapes and cliff-hangers (often literally! ), and a whole lot of out-of-frying-pan-into-fire situations. We like the recent trend in adventure films that include historical mystery, and we've been working hard to embrace all the classic genre conventions in a cool, contemporary way. Kikizo: From what I've read, it seems that you'll be using context sensitive controls. Why did you choose to go this way? Lemarchand: The controls are only context-sensitive in the sense that some special reactions will result from the player's actions dependent on the setting - we're being very careful to create a control system that the player can learn quickly, and that behaves intuitively and predictably. We think that straying from that path is a bad thing. Kikizo: Will you have dynamic difficulty settings? Lemarchand: There are some things that it's too early to talk about, and I'm afraid this is one of them ... watch this space! Kikizo: Will you have crate puzzles? Lemarchand: No crate puzzles in our game! But there'll plenty of other environmental interactions to keep people puzzling. Kikizo: How many locations are planned? Lemarchand: Because we've recreated our famous level-streaming technology for the PS3, you could argue that the game is one big level! Most of the game takes place on a mysterious island in a far-flung corner of the globe, but rest assured that there's much, much more to see than just dense jungle and terrifying cliff-side plunges to the ocean. Kikizo: What sort of game length are you leaning towards? Lemarchand: We'll be making more announcements about the total play time of our game later in the year; so again, watch this space! Suffice to say that we won't let players down, and we'll hit the kind of quality and quantity bars that fans of Naughty Dog's games have come to expect. Kikizo: Is Nathan the only playable character? Will we be able to control Elena at any time? 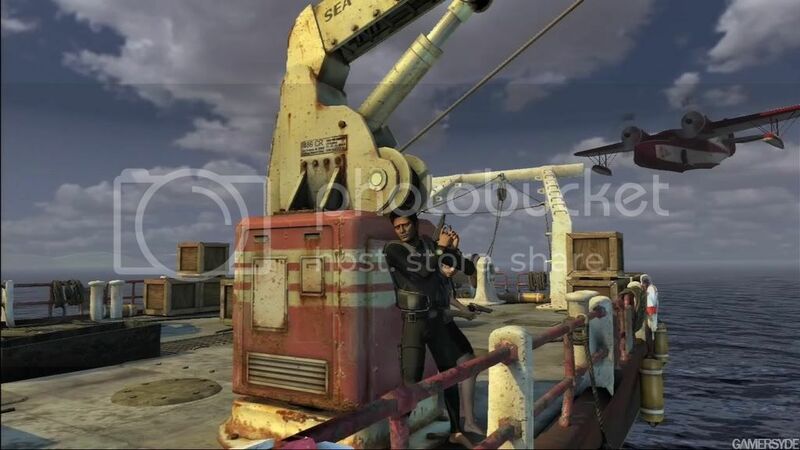 Lemarchand: Nathan is the only playable character in the game, but there's a lot of allied gameplay involving his companions Elena and Sullivan who will help Drake out of sticky situations - or be helped out by him - in a whole load of different action and puzzle situations. Kikizo: Will there be any online components? 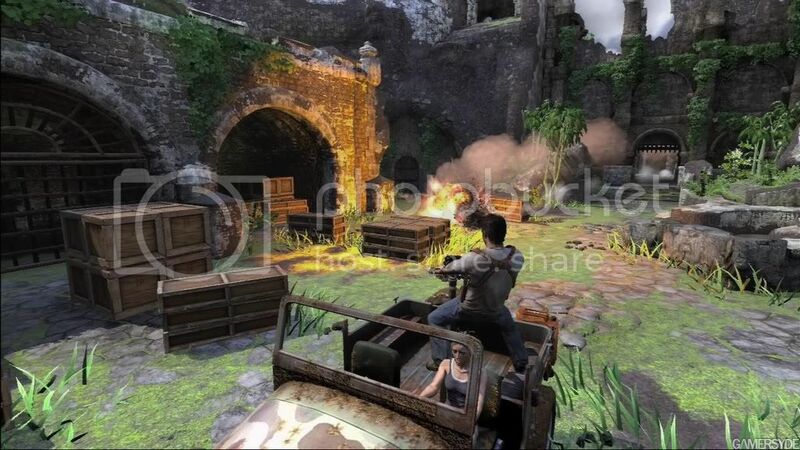 Lemarchand: Uncharted is a single-player game only, but we will have some special online components. We're currently evaluating the awesome tools that Sony have given us to see what new tricks we can pull out of the bag to delight players with a networked PS3. Kikizo: Will you have Trophies or any other Home content? Lemarchand: You bet - although of course I'm not going to tell you what; that would spoil the surprise! People who enjoyed some of the crazy Easter eggs we put in the Jak games will be in for a treat. Kikizo: How will Sixaxis controls be implemented? Do you feel compelled to try to use them because they're there? Lemarchand: The Sixaxis feature of the PS3 controller is a great piece of technology, and we're using it in a number of different ways, including during the balance-beam sections of our traversal gameplay, in our grenade-throwing mechanics, and in the steering of vehicles. We feel like we've only just begun to explore its full potential, though, and I think that we'll be seeing future games that take gestural control as a core mechanic and run with it to some really interesting and innovative places. Kikizo: Do you feel developers are tapping into the true power of the PS3 yet? How are you going to take it further? Lemarchand: The PlayStation 3 is absolutely unprecedented as a piece of video game hardware - its unique Cell processor architecture is making things possible that previous generations of game developers have only dreamt of, and I think this next generation of titles is going to blow a lot of minds. We've been incredibly lucky to have some of Naughty Dog's key programmers involved in the development of Sony's proprietary game-creation tools, and that's given us a huge leg-up in terms of how far ahead of the curve we are with the machine. I think that we're already quite a way ahead of where we were last generation, in terms of what kind of performance we're pulling out of the hardware; but what gets us really excited is thinking about the vast untapped potential that the machine still has. Kikizo: There's been a debate recently about the usefulness of previews. What is your take? Lemarchand: Sometimes developers get forced to show their games before they're ready, and that's usually a mistake. Speaking for Naughty Dog, we're lucky in that we figure out our deadlines very carefully so that we always have something new and exciting to show, and that helps us drive the whole course of the development of our games. Kikizo: Is there anything else you would like our readers to know? Lemarchand: That we're working round the clock to make Uncharted the title that gamers absolutely have to own this holiday season! i think uncharted looks hasnt got the attention it desrved yesterday,the trailer on PSN is awesome,looks just as good as the other 2 big hitters. naughty dog shows the world how to create a jungle for a console game.the explosions has improved big time from the last trailer.